If so, you’re probably also thinking about all the cool things you’d like to do while it’s warm and you don’t have to study. And if you’re sticking around—even just for a couple days—then you might consider taking advantage of one of the best things to do in New Hampshire in the summer: go for a hike! In the spirit of getting your #nature on, here are four easy and intermediate day trips you might consider. Knight’s Pond is a 3-mile loop hike in Alton, New Hampshire—about an hour north of Durham—around an idyllic, tranquil pond. The trail is flat and easy, though muddy in places. Here are my top three reasons for a Knight’s Pond adventure: first, you can stop halfway and eat lunch on a wooden footbridge while dangling your feet over the water. Who doesn’t like a good foot dangle? Second, there were Red Efts everywhere, and you can shout, “LOOK, A WILDLIFE! !” every time you see one, thereby annoying your hiking partners. Third, and most importantly, the entire hike is, as its name suggests, around a pond, which means you can “inadvertently” push your hiking buddies into the water. (…I don’t know why nobody will hike with me.) In fact, you might choose to go exclusively for the swimming! There are a lot of places where it’s easy to jump in, including a beach and picnic area on the loop’s north side (see trail map). The one caveat I’ll offer is that finding Knight’s Pond is not easy to find. Google Maps can get you to Alton, but not to the trail head. I used this guy’s blog post to help. In terms of value-for-distance, this might be my favorite hike in all of the White Mountains. It’s about three miles round trip, and you get not one but two good waterfalls. The first of these, Pitcher Falls, is a spout of water cascading into a narrow gorge. If it’s a warm day, you might want to stick your head under it—or at least convince a friend to do it (“It’ll be a great new profile pic, c’mon!” is the line I go with). Champney Falls, which is a little higher up, is actually a whole series of cascades. At least one of these sits beneath an enormous rock outcropping, on which you in turn can sit and eat lunch and take photos and admire the extraordinary view. To get there, you’ll take NH-16 North all the way up until it meets with NH-112 West (about 81 miles). At this point, you’ll be on the famous Kancamagus Highway, and you can snidely inform your friends that it’s pronounced “kank-ah-mah-gus,” not “Kank-ah-mang-gus.” The trailhead is located 11.5 miles away. Look for the BOLLES TRAIL sign; both the Bolles and the Chanpney Falls Trail leave from the same parking lot. 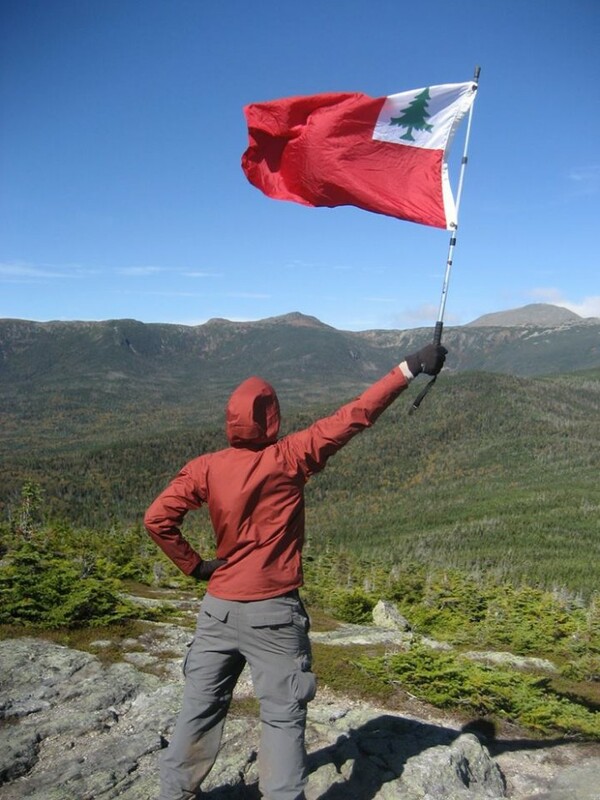 These two peaks are routinely cited as among the best “bang-for-your-buck” hikes in the White Mountains. For 4 miles of hiking, you’ll get two beautiful summits plus a bunch of bonus views on your way. The summits aren’t all that high—North is 2300 feet, and Middle is just over 2500—but they’re mostly unobstructed. If you’re new to hiking, the climb up might be challenging, but it’ll definitely be worth it. If you’re an experienced hiker, you could pair this with Mt. Willard, which I wrote about last year, and a sandwich at the AMC Highland Center. Getting here from Durham takes a couple hours, but the last third of the trip is, on a clear day, some of the most beautiful driving in New England. That sounds like an exaggeration, but you’ll be driving right through the heart of the biggest mountains we have. You’ll begin on NH-16 North and follow it all the way up to Conway, New Hampshire. Then, you’ll turn left onto NH-302 West, which will take you on a winding, scenic trip through the Presidential Range. Keep an eye out for glimpses of Mount Washington on your right; it’ll be the peak with what looks like a radio tour on top. If you keep going past Pitcher and Champney Falls, you can summit Mount Chocorua. This isn’t an easy hike; at 7.5 miles round trip and a summit of 3,474 feet, it’s definitely the toughest on this list. For those of you with a little hiking experience, be forewarned that this is a harder tail than many of the 4000-footers you could do—especially if you do it in the winter. Expect some rock scrambling, especially in the last half-mile or so. However, it’s also one of the most rewarding hikes. In addition to the cascades you’ll see in the first two miles, the summit offers 360-degree views (hiker lingo for: REAL GOOD). The summit is huge and open—plenty of room for you and your #squad to take a group photo in which you look extra especially mountainy. A word on getting there: like so many hikes in the White Mountains, it’s not a good idea to rely exclusively on Google Maps to find your way there. For example, if you Maps Mt. Chocorua, you’ll find yourself many miles from where you actually need to be. This is because your driving destination is actually the beginning of the trail, and not the farthest point on your hike. In this case, the trail is the Champney Falls/Bolles Trail trailhead (see above). As a general rule if you’re planning on hiking in the White Mountains, it’s a good idea to consult an actual map. Appropriate footwear: waterproof, comfortable, and with tread. You should also tell people where you’re going—or better, convince them to go with you!